Do you have a vehicle for sale? Items that you no longer need? Please contact us, we are certainly interested. 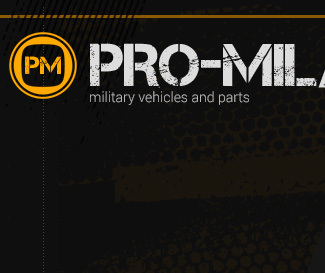 Pro-mil can also sell your vehicle. We make your vehicle ready for sale, put ads on specialized (international) webshops. We manage the contact with potential buyers, arrange the paperwork and transportation. You can rest assured! Pro-mil can also help to find a particular vehicle. Please contact us and we do the search for your dream car! !